Outdoor Discoveries - Abseiling, Canoeing, Caving, Rock Climbing in Margaret River, South Western Australia. Outdoor Discoveries is a professional outdoor program provider based in the South West of Western Australia. We have been providing outdoor programs and interims in Western Australia since 1996. 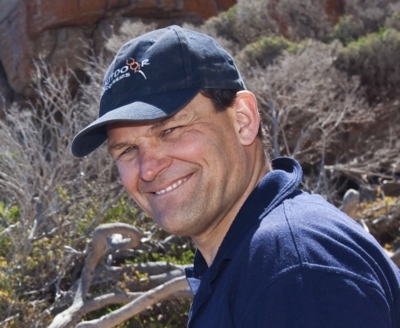 Brett Huntly is the managing director of Outdoor Discoveries and oversees all programs. He completed a Graduate Diploma in Outdoor Pursuits from Edith Cowan University in 1997 and has been working full time in outdoor education, recreation and training ever since. Instructor in Charge on Abseiling and Climbing Guide Courses since 2004. Full time outdoor educator since 1996 working with international and local schools, university students, corporate groups and recreational participants. Brett Huntly is the lead instructor and designs and plans all programs. He is passionate about the outdoors and currently spends his spare time free diving, rock climbing and teaching karate. All our instructors are fully Qualified And Experienced. All lead roping instructors are registered with the National Outdoor Leader Registration Scheme (NOLRS) as at least Single Pitch Abseiling/Top Rope Climbing Guides - Natural Surfaces. All caving instructors hold DPaW Cave Trip Leader qualifications. All canoeing guides hold at least current Bronze Medallion qualifications. Outdoor Discoveries operate at the highest levels of Risk Management to ensure that all our clients are looked after. We follow Government Regulations and Industry Guidelines. We try to facilitate learning outcomes as well as providing an enjoyable and fun experience!